Walking the Noble Path requires one to not just accept certain realities but to contemplate how those realities affect their lives so that acceptance transforms into wisdom. This wisdom allows one to set aside the fear and anxiety that can arise with the realizations of aging, illness, death, change and responsibility. In the Upajjhatthana Sutra the Buddha offers insight into how one must come to understand these realities. “There are five realities that you must contemplate whether you are a woman or a man, lay-Buddhist or ordained monk. I am going to grow older, I cannot avoid that reality . . . I am going to get ill at some time, I cannot avoid that reality . . . I am going to die, I cannot avoid that reality . . . I will constantly change and seem to separate from all that I care about, I cannot avoid that reality . . . I am cause of my actions, actions born of me and causally conditioned by other phenomena, my actions are my examples and I must learn from those experiences. Whether my choices are good or bad, the karmic consequences will not be only mine, others will be affected . . . These are the five realities that you must contemplate often, whether woman or a man, lay-Buddhist or ordained monk. Now, why must you contemplate that . . . ‘I will grow older?’ Some people are so desirous of the ideal of youth that they make bad decisions, take negative paths meant to achieve eternal youth. But, when you contemplate the reality of growing older that ideal of youth will fall away . . .
Now, why must you contemplate that . . . ‘I am going to get ill at some time’? There are people that cling so fiercely to the ideal of health that they make bad decisions, take paths meant to shield themselves completely from illness. But, when you contemplate the reality of illness that ideal of permanent health will fall away . . .
Now, why must you contemplate that . . . ‘I am going to die’? There are people who so fear death that they make bad decisions, take paths meant to deny and postpone (even indefinitely) death. But, when you contemplate the reality of death that fear of morality falls away . . .
Now, why must you contemplate that . . . that ‘I am constantly undergoing change, and will lose some things that I feel desire and passion for’? There are people who so fear change and loss that they make bad decisions, take paths meant to cling fiercely to permanence. But, when you contemplate the reality of impermanence that fear of change and loss falls away . . .
Now, why must you contemplate that . . . ‘I am cause of my actions, actions born of me and causally conditioned by other phenomena, my actions are my examples and I must learn from those experiences.’ There are people who, out of ignorance and fear deny responsibility for their actions, take paths meant to avoid the consequences of their actions. But, when you contemplate the reality that what you do matters beyond the consequences you experience that denial and avoidance falls away . . . NOTE: Know that I’ve taken the liberty to put this important sutra into contemporary language and have used the buzz-words of the Pragmatic Buddhist tradition. Venerable David and myself have often discussed if any of sutras re-worded (or creatively re-described) in such a way could offer the same intent as the those translated directly from the Pali, and holding to the symbology and textual references of that time 2600 years ago. 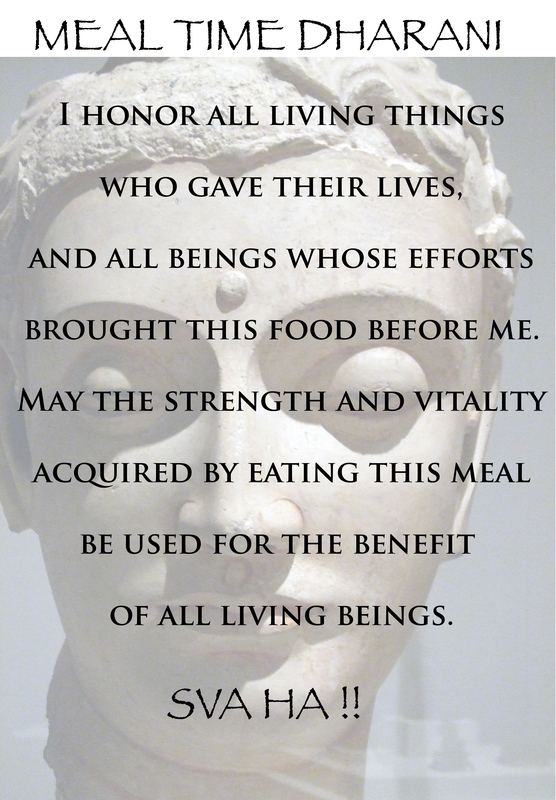 Using the sutra as translated by Thanissaro Bhikkhu – (“Upajjhatthana Sutta: Subjects for Contemplation” (AN 5.57), translated from the Pali by Thanissaro Bhikkhu. Access to Insight, 30 November 2013 http://www.accesstoinsight.org/tipitaka/an/an05/an05.057.than.html – I’ve attempted to do just that, present the sutra in a contemporary way and be true to the intent of the Buddha. The Buddha taught the realities of the Four Ennobling Truths. Suffering is a reality of human existence. There is a root cause of suffering. There is a path out of that suffering. That path is Eightfold. At the top of the Eightfold Path is developing an appropriate view. In the Upajjhatthana Sutra he offers what views need to change so that the Noble Path can be better realized. Everyone ages, gets sick, and dies . . . and along the way they undergo changes . . . changes which lead to aging, illness and death . . . among other changes such as personality, job, car, favorite books . . . you get the picture. Traditional translations say that those are four of the five things that should be contemplated. I changed should to must because should doesn’t reveal the commitment is necessary for these views to have the appropriate impact on how a practitioner engages the ideal. How much homework would you have done if your high school teacher had said, “You should do this homework”? . To find contentment and calm in the hectic world of today the realities the Buddha taught that we must contemplate relate now as they did in his time and culture. Accepting that aging, death, illness and change . . . like taxes . . . are inevitably parts of human existence leaves you with more energy to deal with the situations you can affect. That isn’t to say you should ignore those realities, just don’t be stressed out by them. Engaging in activities certain to ease the transitions as you become older like exercising regularly will help to ward off some illnesses that could lead to an early death, and engaging in life-long learning so you experience the changes of the past and experience the changes of the moment make you more open to transformations that are inevitable. Aging, death, illness and change will happen. It isn’t useful to stress over them. Number five in the Buddha’s Contemplation Countdown is the kicker. It is the “must view” that gets missed by so many people. The Buddha is offering the ideal, he didn’t once offer to hold anyone’s hand on the way to that ideal. He offered the reality and the ideal view . . . all of the effort, mindfulness and concentration — the Noble Path to bodymind discipline – was an individual responsibility with effects that encompass the whole of human existence. We are responsible for the “must do”. Whatever we do, whatever choices we make are our own. Yes . . . I can hear the voices . . . but causal conditioning means other factors, known and unknown affect my decision . . . that is true . . . still, the final decision, the action taken is the responsibility of the practicing Buddhist . . . there is no deity or God that we can point to and say, “He made me do it” . . . “It was part of the plan”. Time taken to blame. Time taken to defend. It is time subtracted from how long it’ll take to affect positive transformation. I am cause of my actions, actions born of me and causally conditioned by other phenomena, my actions are my examples and I must learn from those experiences. Whether my choices are good or bad, the karmic consequences will not be only mine, others will be affected . . . You are the cause of your actions, actions that arise as a result of your intent, intent that is affected by what goes on in the world around you. With this firmly in mind it is your responsibility to maintain an appropriate view of that world so that delusion and personal preference are allowed to fall away in favor of reality. The reality of any situation coupled with a commitment to the ideals of Buddhist practice and philosophy is most likely to lead to wholesome consequences. 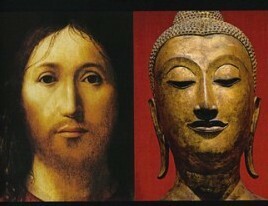 A Buddhist is not a puppet. There is no one pulling strings making us choose wholesome or unwholesome thoughts and actions. The causal Universe presents us with options. The Noble Path offers a way to liberation from the suffering each of us encounters in this life. It is up to each of us to re-view those options and take the appropriate action. What we do matters and we are responsible for what we do. Across Buddhist traditions the Three Refuges (P., tritratna) is the initial step for all on the Noble Path. In the Chinese Ch’an tradition reciting the Three Refuges (also known as the Three Treasures or Three Jewels of Buddhism) is how a person “becomes” a Buddhist, it is known as Taking Refuge (P., sarana). It is a recognition that at any time, when needed a Buddhist can return to, or find sanctuary in the Three Refuges. It is not an act of conversion. It is a choice. We can choose approach the Noble Path with the knowledge that Siddhartha was a human being like ourselves, one whose example we can follow. We can approach the Noble Path with the realization that the dharma is a dynamic reality. We can approach the Noble Path alongside others who have similar goals and are searching for similar experiences. The precise meanings of each of jewels, their interconnectedness, and how to honor each differs between traditions, while the intent remains steadfast. The intent being that once on the Noble Path the practitioner can return to the ideals of the Buddha, the Dharma, and the Sangha whenever needed to reinforce and strengthen practice needed to deal with the realities of human existence. They go to many a refuge, to mountains and forests, to park and tree shrines: people threatened with danger. you gain release from all suffering & stress. In Engaged Dharma the Three Refuges are recited before any session, whether at home in front of a personal altar or with the sangha. I go for refuge to the Buddha, the teacher. I go for refuge to the Dhamma, the teaching. I go for refuge to the Sangha, the taught. I have taken refuge in the Buddha. I have taken refuge in the Dhamma. I have taken refuge in the Sangha. 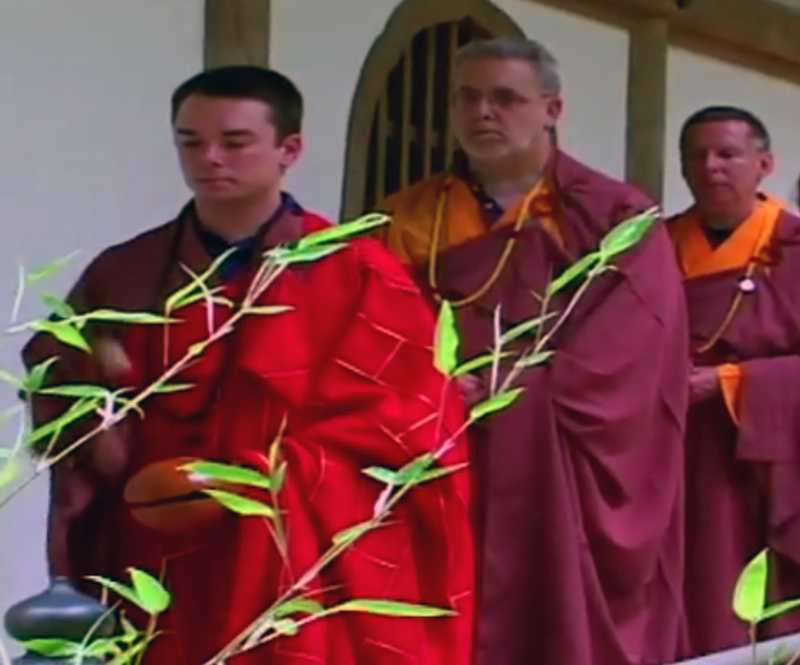 The three repetitions follow the traditional Ch’an ritual of intent. The first recitation is to remind us that we made the choice to walk the Noble Path by going to the Buddha, Dharma and Sangha for shelter. The second, that we accept the Refuges as moment-to-moment ideals that must be engaged in the reality of the world we live in. The third, that we realize that refuge, serenity and equanimity can always be returned to. Once the recitation ceremony is completed then the intent of the Three Refuges becomes part of our consciousness, and with repetition the Three Refuges become firm in our unconscious mind and become a foundational cause of HOW we are. It is a simple act of intentional recitation, deep listening, and solemn reminder of a chosen path. It is a ritual done with the intent to transform how we are. At times in life we may become disillusioned or be assailed by doubt that one human being can have an appreciable effect on the unsatisfactoriness and suffering we recognize around, and within us. We can feel ourselves stepping back from our commitment. Siddhartha Guatama, the historical Buddha lived and died as a human being. He encountered the same experiences as any other person of his place and time. He was simply a man who wanted to find a way to relieve unsatisfactoriness and suffering and committed himself to finding a way. 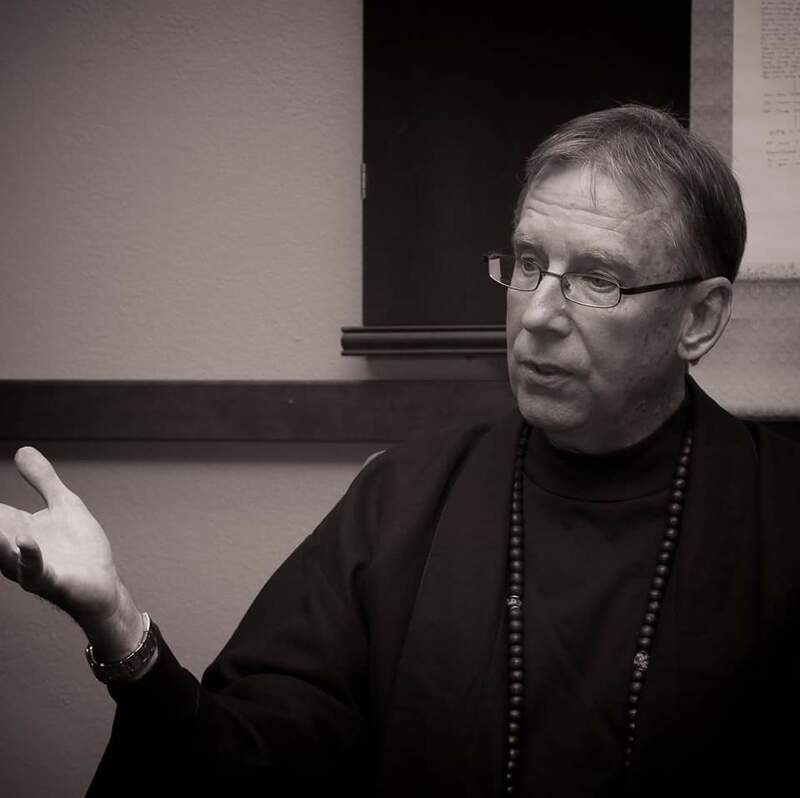 He is the personal, human component in Buddhist philosophy and practice. Siddhartha didn’t come to realize a path out of unsatisfactoriness and suffering by hiding out in a cave or sequestering himself in a monastery. He sat under a bodhi tree in full view of anyone walking by and meditated until he awakened with the realization of the Four Ennobling Truths. Then came Siddhartha’s moment of doubt . . . was this realization too much for others to understand? . . . do I have the skills necessary to get the message to others? . . . he ultimately decided that it would be selfish to keep this knowledge to himself because with the knowledge came the responsibility to tell others. Each of us have moments of doubt. Can we do it . . . whatever it is? We can look to Siddhartha as our example, and go on to be an example to others. Then we take refuge in the Buddha. Traditionally the dharma (P., dhamma) in Buddhist philosophy has three manifestations. 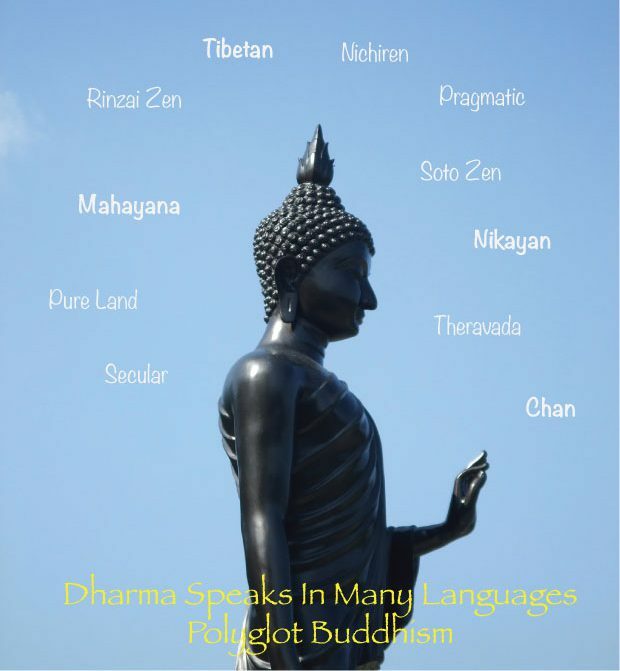 The Dharma recorded as the words of the Buddha in the Nikayan texts are scriptural dharma. Realized Dharma arises when the practitioner puts information into practice and comprehends its positive transformational effects. Third is the dharma that is the reality of the world we live in. It is the realities of causality, the not-self, and of impermanence. We take refuge in all the manifestations of dharma. Through the Dharma the Buddha presented us with ways to live in harmony with the world around us, ways to live in harmony with the people around us, and to live in harmony with ourselves. As Ms. Ross writes, we have to look to everyday, moment-to-moment experiences and learn from them. We have to learn to be aware and accept the causal process of the Universe and take action within it to create and maintain human flourishing. While we have individual lives we must realize they are never separated from the communal living that goes on around us, what we do has its effect. When faced with situations we can take refuge in the Dharma to direct us toward positive transformation. In the Mahayana tradition there is less of a distinction between the monastic and the lay people; all are considered the sangha. The sangha is important because Buddhist philosophy and practice isn’t meant to be only an individual pursuit, it is meant to have a strong socially engaged aspect. From the earliest incarnations of the Noble Path the Buddha made it clear to his disciples that they must travel around and spread the Dharma through example. The EDIG sangha at the Buddha Center in Second Life is a support network that offers friendship and the shared experiences of members. A sangha provides a fertilizer to help each practitioner grow into a socially engaged, socially relevant Buddhist. All sanghas allow the brain to think on a more encompassing scale as connections between members reveal that each are representative of the whole sangha. As a representative each practitioner becomes more than themselves, they realize themselves as a piece of everyone. This does not mean a loss of personal identity, only that there is no duality between individual and member. It is through interactions and personal connections developed within the sangha that social selves arise. We discuss relevant issues and the effect of applying the teachings of the Buddha to them. Through social consensus decisions are made on the value of actions we have taken, and how we can better react to situations that didn’t turn out so well. 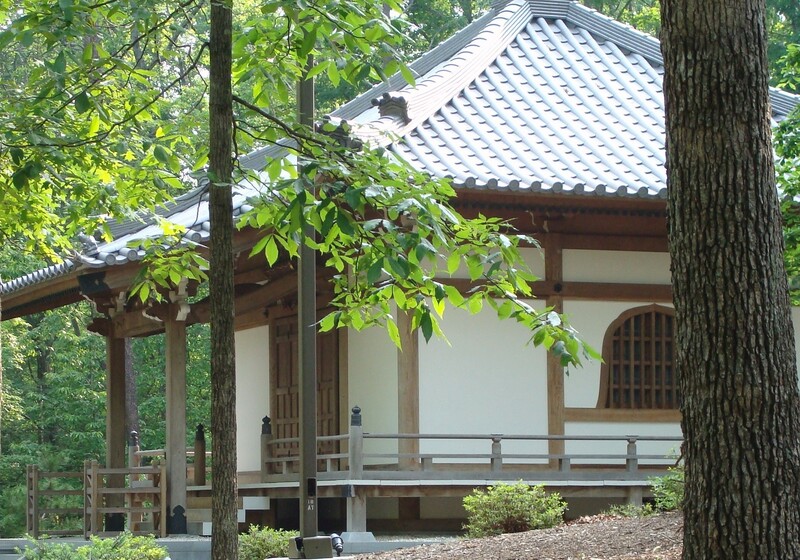 The sangha is a place we must be able to “air our views” without fear of judgement. We grow to trust the members of the sangha and this trust is a refuge. Buddhist practice is all about re-wiring the bodymind, strengthening the positive practices we already engage in, and discarding or transforming the negative ones. This isn’t mind control or brain washing. No one, deity or otherwise is coercing you or can force you to change; it is up to you to choose your path. Reciting the Three Refuges is a reminder that no matter what situations we face there are places of sanctuary. We can go to the Buddha, the Dharma and the Sangha to refresh our awareness that we must accept the world as it is, and that we can take actions necessary to make it better on a personal and societal level. 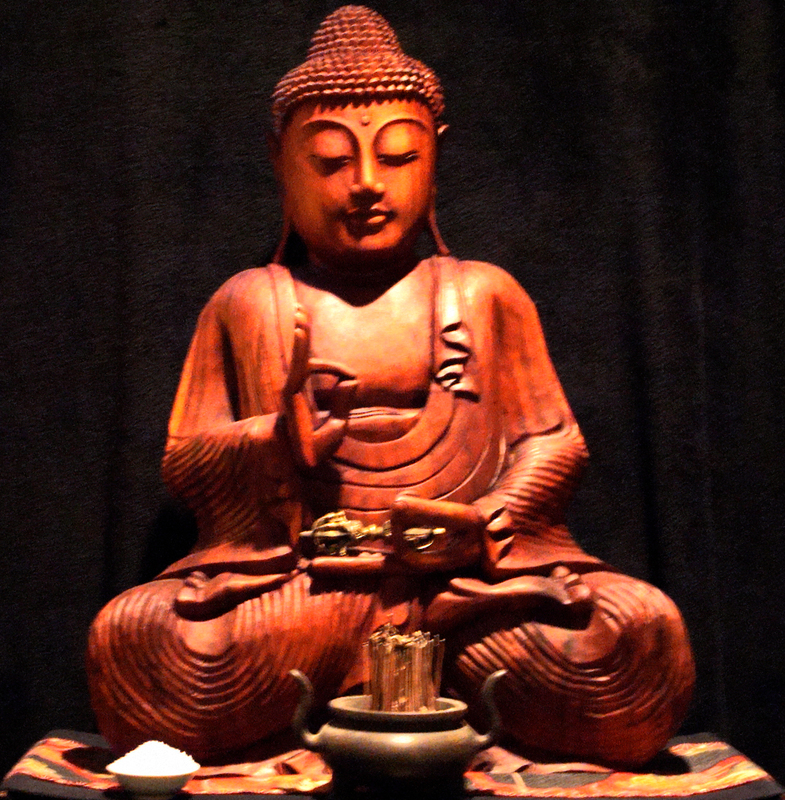 What’s in it for me is not the question a bodhisattva-in-training asks before taking action. Actions to promote human flourishing are meant to be taken without any expectations of reward. No atta-boys, pats on the back, raise on your paycheck, or new car. The ideals of nirvana and enlightenment are dangled as possibilities, not as rewards but as destinations that may, or may not be at the finish line. There is a commitment to putting in a lot of selfless effort to be a better human being without any expectation of how that will benefit you. This doesn’t mean there isn’t a notion of enlightened self-interest in the choices one makes. Not enlightened as in the Buddhist philosophical sense of the term, but in the Western view of performing acts with the understanding and knowledge that personal gain of some sort will be one effect. There is a wide difference between expecting something in return and the knowledge gained through experience that there are selfish reasons to be a better human being. The Buddha knew that the Noble Path, given the effort and commitment needed to walk it, would initially be walked for reasons of self development, of self betterment, of enlightened self-interest. He accepted this dharma and so should we all. It takes commitment to walk the path of a bodhisattva-in-training. Whether it is walked as a lay person or as a monk there is a lot to be mindful of, and a lot of practices to be mindful of as the causal world is engaged. However many people are on the planet . . . you vow to lead them all to liberation through the example you set with your own life. However many delusions you hold about yourself and the world around you . . . you vow to extinguish, to make fall away each and every one of them. However many Dharma teachings there are . . . and there a bunch . . . you vow to learn about them and practice them . . . all. However far the Noble Path stretches . . . you vow to walk it to the end. It is a huge commitment. And, to top it all off you are supposed to commit to it without any expectation . . . at least once Buddhist practice and knowledge of causal consequences matures. In the Saddha Sutra the Buddha taught that there were rewards for the committed practitioner. There were five rewards that truly good people would “give”. The sutra was originally written for the monastic disciples to spark their self-interest so that they would pursue positive self-transformation. The Buddha knew from his own experience that through time and mindfulness that self-interest would fall away and selfless loving-kindness would arise in its place. NOTE: Know that I’ve taken the liberty to put this sutra into contemporary language and have used the buzz-words of the Pragmatic Buddhist tradition. Venerable David and myself have often discussed if any of sutras re-worded (or creatively re-described) in such a way could offer the same intent as the those translated directly from the Pali, and holding to the symbology and textual references of that time 2600 years ago. In this instance I’ve replaced monk (bhikkhu) with lay person so that lay practitioners can gain the appropriate view that this teachings is of equal value to them. The sutra re-described was initially translated by Thanissaro Bhikkhu – “Saddha Sutta: Conviction” (AN 5.38), translated from the Pali by Thanissaro Bhikkhu. Access to Insight (Legacy Edition), 30 November 2013, http://www.accesstoinsight.org/tipitaka/an/an05/an05.038.than.html . “For a lay person, there are these five rewards of commitment. Which five? When the truly good people in the world show compassion, they will naturally first show compassion to people of commitment, and not to people without commitment. When visiting, they naturally first visit people of commitment, and not people without commitment. When accepting gifts, they will naturally first accept those from people with commitment, and not from people without commitment. When teaching the Dhamma, they will naturally first teach those with commitment, and not those without commitment. A person of commitment, on death, will leave behind a legacy of positive thought and action. For a lay person, these are the five rewards of commitment. The commitment spoken of in the sutra is the commitment to ideals like the Three Pure Precepts: cease to do harm, do only good, and do good for others. The karmic causal process of the universe clearly reveals that a person looking to do good is more apt to offer their skills, gifts and practice to those people striving to do good themselves. So, in the name of enlightened self-interest it is better to be seen as doing good so positive causal effects can be experienced. It is not an expectation that because you act with compassion that others will show you compassion; it is knowledge that can be experientially verified through your own actions. You freely offer compassion to a person volunteering their time and skills in a nursing home. You naturally find it more difficult to offer that same compassion to a child molester. It is in a person’s self-interest to first visit someone with whom they have a shared commitment, or at least a parallel commitment. It is with those people that positive personal development will strengthen. Later, when visiting those without commitment that gained strength can be put to use building new commitments. A bodhisattva-in-training must practice skillful generosity. Offering skills, gifts and practices to those people and organizations that will pass along that generosity doesn’t take a lot of conscious thinking. Offering the same to those who may not appreciate or acknowledge it is a more difficult practice. Engaging with those with similar commitments allows one to experience the feelings of acceptance and gratitude that future acts of generosity may not generate. When teaching the Dharma, they will naturally first teach those with commitment, and not those without commitment. There is an ideal in Buddhism that the student will come to the teacher. The teacher commits to teaching someone is showed the commitment to find a teacher. A layperson offers the dharma through their actions, so someone already committed, at some level to becoming a better human being is more likely to aware of the lesson and mindful of its value. Many people regret their actions as they lay dying. They winge and complain about what they could have, or should have done with their lives. They regret not committing to something positive. This is part of the foundation for the traditional Buddhist philosophy behind rebirth and karma. There are many people who come to practice Buddhism as a way of expunging their past negative choices (stealing, sexual misconduct, killing, etc.) or past negative experiences (loss, illness, pain, depression) in order to pave the path for a better next life. This is an ultimate form of enlightened self-interest. In Engaged Dharma there is a more pragmatic, and selfless way of viewing this. A person committed to, and acting with the knowledge that what they do matters now, and after they die, will endeavor to always cease to do harm, do only good, and do good for others. In this way they live a life of enlightened self-interest that is also enlightened selflessness. The actions of a sincere and committed bodhisattva-in-training are clearly evident to those people with, or seeking the same commitment to human flourishing, and to positive personal transformation. Siddhartha is our example of the reality of this phenomena of karmic causality. Others, of all castes, were drawn toward the cool abiding shade of his wisdom and compassion. Enlightened self-interest arose as a need to figure out the human condition. After his awakening he questioned whether he should, or could offer what he discovered about the realities of human existence, and choose to allow enlightened self-interest to transform into enlightened selflessness.